Maine does not have specific restrictions on guns on private property. However, the state considers it criminal trespass if a person enters or remains on property without the owner’s consent or when access has been prohibited by the way of signs. 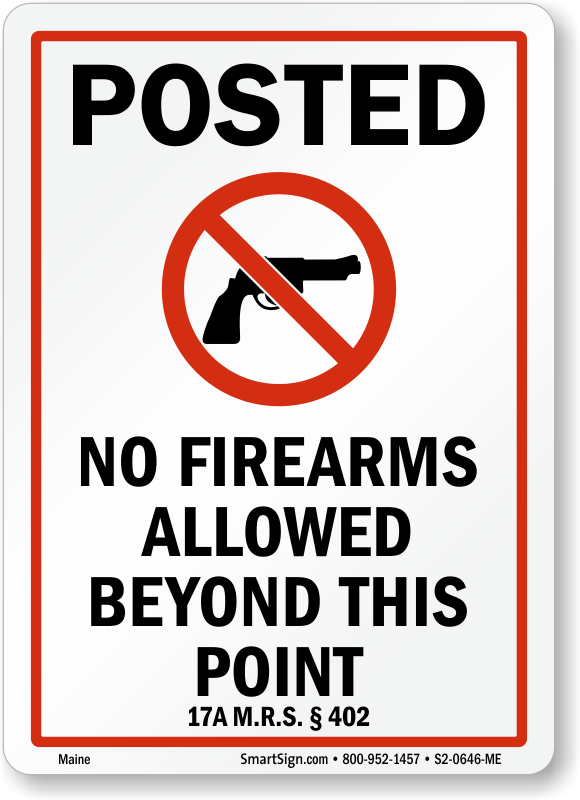 MySecuritySign offers No Guns signs to control access.